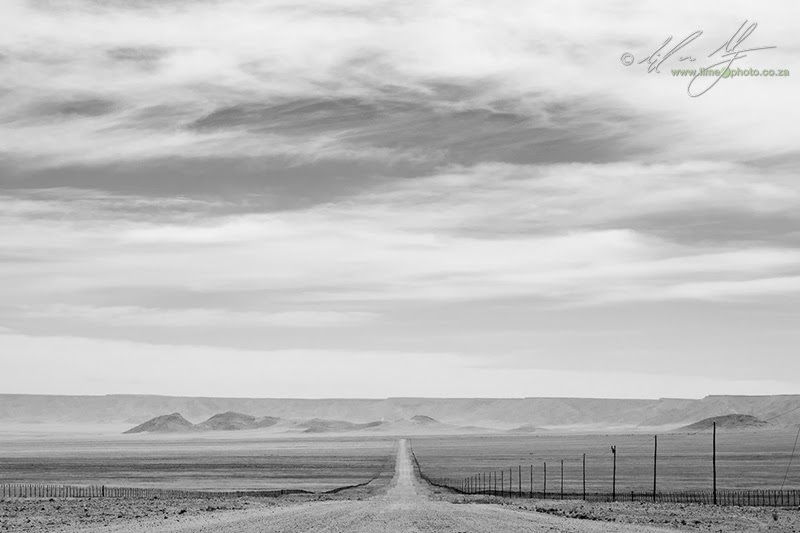 Arguably, the first thing that novice photographers attempt to ‘fix’ in their images is the issue of flatness. The way we perceive our world is three-dimensionally. The problem that first time photographers soon discover is that images are not three-dimensional, hence our interpretation of the two-dimensional is often one of flatness. The complaint tends to go along the lines of ‘this doesn’t do justice to what we saw’, or ‘it looked a lot bigger in real-life’ or simply, ‘it looked very different when we saw it’. Living in a three-dimensional world, we automatically scan our immediate environments, taking in a multitude of details, but concentrating on only a few. If we stand at the viewpoint where Ansel Adams famously photographed Yosemite and the iconic Half Dome peak, we concentrate on hedge vista in front of us and in the distance. The mountains seems inspiring and massive because of our position in hedge landscape. Take a photograph and suddenly the mountains seem small and insignificant. Another good example is that of the Fish River Canyon in Namibia (the example could also apply well to the Colca Canyon in Peru or the Grand Canyon in the United States with the. Caveat that the Fish River Canyon has fewer trees in its environ, a point which becomes significant below). The canyon, as awe-inspiring and enormous as it is in real life looks rather uninspiring and insignificant in many photographs. The impression of smallness and flatness is exacerbated by the use of ultra wide angle lens such as a 12mm on APS or an 18mm on Full Frame. One way to portray the sense of the three dimensional is to effectively use linear perspective. 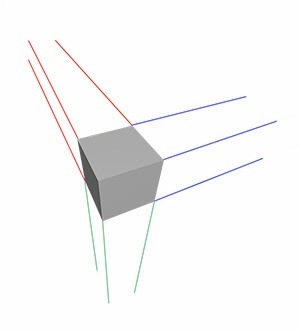 In three dimensional space all parallel lines essentially become vanishing points. Imagine a cube viewed from one corner. The closest side appears larger than the furthest side and the horizontal lines converge rather than run parallel to one another. This convergence is known as vanishing point, and can be used very effectively in portraying space and distance and in an image. Photographs of roads and railway lines use this to particular effect creating the sense of a an endless line that recedes into hedge far distance. Up closer, photographers can use wide-angle lenses to emphasize size by having the foremost part of an object larger in the frame, while the rest of it tails of and becomes smaller, often through linear perspective (think of photographs of fighter jet aircraft and motor cars shot from immediately in front with a wide angle lens. Not only, does this create the impression of space, but also of movement through that space as the vanishing lines give us the same impression as George Lucas’ star streaks as his heroes break into warp speed in Star Wars). More readily taught to photographers than linear perspective is the concept of near and far subjects. Ansel Adams writes about it ion his book, The Camera, and internet writers like Thom Hogan mention it frequently. As described above, the world is three dimensional, whereas our images are two dimensional representations of that three dimensional reality. A great many photographs can benefit from creating a three-dimensional-like quality to the images. This is achieved by carefully selecting and placing elements in the frame to create a visual sensation of near and far. Adams writes about the ‘Near-Far Approach’ while Thom Hogan talks about the ‘Near, Middle, Far’ mantra. Both are essentially the same. Images that successfully portray a three-dimensional feel have recognisable foregrounds that link to a well executed background. When we view a scene we take in the entirety of that view, including the foreground. By showing the foreground in an image we create the sense that the viewer is almost included in the scene. This gives the sense of three-dimensionality. Thom Hogan elaborates in the Near-Far Approach by stating there should be a recognisable middle distance subject, hence the mantra - near distant, middle distance, far distance - in selecting elements in the frame. By excluding the foreground there is a perceptual severing between the image and the viewer, which incidentally can also be used creatively. An example showing the use of respective size to give the impression of depth and space. This image is a panoramic stitch created with a 16mm focal length on a full-frame camera. The use of wide angle accentuates the sense of perspectival distance between the foreground ferns and the background forest. Essentially, creating depth markers - recognisable elements in a scene that indicate or illustrate near-far distance - we create the perception of three-dimensionality in our images. If we see a fern leaf large in the foreground, and tree trunks slender and small in the background we perceive depth and distance between the foreground and the background of the image. This is because our experience of the world says to us that fern leafs are usually smaller than tree trunks, and if they appear larger to us, the tree-trunks must be further from us than the fern-leaves. We can also manipulate the viewer’s perceptual experience of distance within the image by using different focal lengths. Wide angle lenses usually accentuate the sense of distance, making elements in the foreground and background appear further apart than they really are. Similarly, telephoto lenses have a fore-shortening effect that makes distant objects appear closer to the foreground subject than they really are. By excluding a foreground and only a shooting middle and far distant elements together we can make objects appear almost on top of each other. This is done to particular effect in wildlife photography and in particular wildlife cinematography, making animals appear perceptually far closer in proximity to one another than they are in reality. Perspectival distance can create sense of depth, or lack of it. The size of a subject in relation to the world around it gives us further meaning in interpreting the image. Is the person on a mountain tiny in relation to the looming peaks, or large in relation to distant mountains? These visual clues add interpretative depth to the images we create. Viewpoint becomes all-important then in selecting what to frame and how to frame it so that perspective becomes a natural part of the composition. Create and manipulate perceived depth in an image and those images will never again appear flat. The trick however is to not simply use foreground elements and differing sized depth markers simply for the sake of using them. The difficulty is still creating a meaningful relationship between these elements. Therein lies the secret to truly masterful compositions. Great article, Emil. Thanks for sharing.